Sister1 is an amazing baker. She makes some seriously delicious cupcakes, and regularly sends me taunting texts of her culinary creations. Every time I see a picture with the subject line “Yum!” I text her back: “Blog about it!” So she finally did (ever so briefly, but I’ll take what I can get). Sister1 is getting married in just two weeks! Craziness, I know! And despite her original plans (or lack thereof) she took my aggressive suggestion to have some sort of celebration. So there’s going to be a party, and Sister1 is doing the desserts. 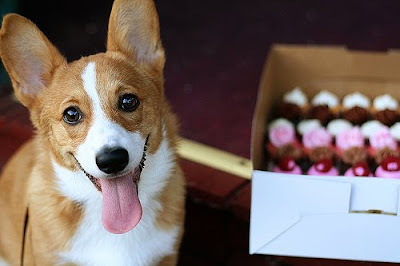 When we visited DC, Mollie took Geoff and I to Baked and Wired, where we sampled some of their cupcakes. 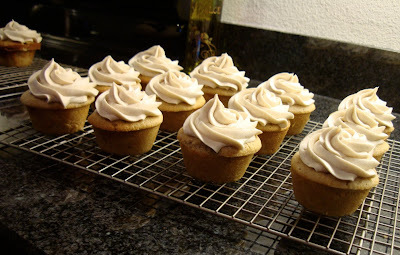 In an attempt to find the perfect cupcakes to serve at my wedding party I decided to try to recreate B&W’s Chai Tea Latte Cupcake because it was fantastic! They turned out really well! 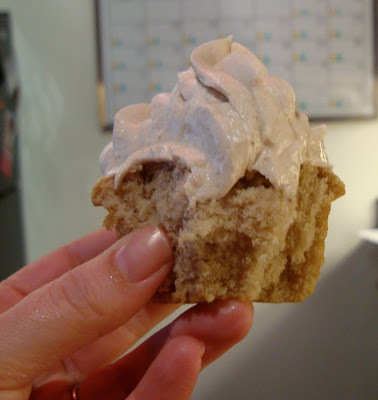 I’m not sure I exactly recreated the original Chai Tea Latte cupcake, but mine were definitely delicious. Mix spices together in small bowl. Cream together the butter and sugar. Add the vanilla and beat in one egg at a time. Stir in half the quantity of chai spice mix. Fold in the flour and buttermilk alternately and stir until combined, don’t over mix. Mix together the baking soda and vinegar and mix into the batter. 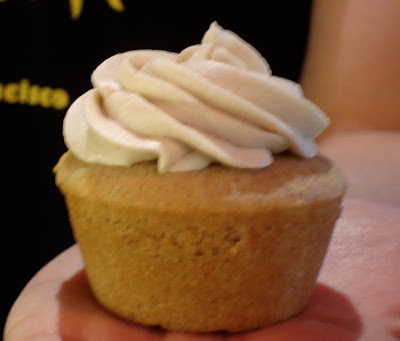 Spoon into prepared cupcake cases until 3/4 full and bake 15-20* minutes or until a toothpick comes out clean. *Mine took around 22-25 minutes. Next time I might try baking at 350. In a stand mixer, beat the cream cheese and butter until creamy. Add the vanilla and chai spice mix and beat until well incorporated. Add 2 cups of powdered sugar, beat for 1-2 minutes until combined and creamy. Add the remaining 2 cups of powdered sugar and beat until combined. Icing should be smooth and spreading consistency. If the frosting is too thick, add 1-2 tablespoons of milk. Nothing makes me angrier than wind. Yes, I mean the weather. Snow? Bring it on. Rain? I actually like rain. But wind? Not ok.
After a Thursday of Thanksgiving eating - turkey, mashed potatoes, cakeballs, and pie (oh the pie! All hail LLC!) - followed by a Black Friday of trying on clothes, I needed some exercise. So Saturday morning I decided to go for a long bike ride. I was in a little bit of a hurry. I left Dupont at 9:40, but didn’t actually get to the trail until about 10:00 (damn you Georgetown traffic lights!). I had no idea how long it would take (It’s 40 miles round-trip, and I guess-timated anywhere from 2.5 to 4 hours), so I kept my tempo up because I had a haircut scheduled that afternoon and I wanted to get the whole route in. There was a bit of a headwind on the way out, but nothing dramatic, so I looked forward to an easier ride back. I pushed up those last hills to arrive at the Mt. Vernon parking lot (Oh hey George Washington! ), dismounted, shook out my legs, and checked my phone. 11:09. Wow – that was faster than expected! I considered eating the Annie’s gummy snacks I had tucked into my sports bra, but meh, no, I got back on the bike to make the return trip. Wind was in my face in both directions. HOW is that even possible? I only hoped it would get better. But it didn’t. It got much much much worse. One of biking’s redeeming factors is the creation of inertia, the ability to coast. But I was having none of that on my ride back. I had to constantly pedal hard just to keep moving forward. I tried to look on the bright side – extra calories, right? A better workout, right? But by the time I got to Alexandria the wind had been roaring in my ears for 10 miles and I could see whitecaps forming on the Potomac River. I was unreasonably (or reasonably?) angry. 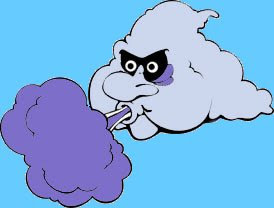 Nothing in this world produces unspeakable rage in me like wind in my face. I hate this! I hate this! I hate this! I repeated inside my head. I cursed the wind, cursed biking, cursed my hamstring for preventing me from running, cursed the Potomac River, cursed Washington DC and Northern Virginia, cursed whomever built that bikepath, and cursed myself for thinking that biking would be a good idea. It was so windy I had to stand up out of the seat on the flats just to keep moving forward. I pedaled up to my doorstep, feeling like a warrior returning from an epic battle. All I wanted to do was collapse on my floor and ask someone to feed me. (Mama! Where are you when I need you???) But alas, it was up to me to restore myself to normal existence. A shower and bowl o’Thanksgiving leftovers later, life was beginning to regain its natural colors. But of course, being myself, my day did not end there. Despite the wind's best efforts, I made it back home by 12:30, giving me plenty of time to get to Eastern Marker for my haircut. 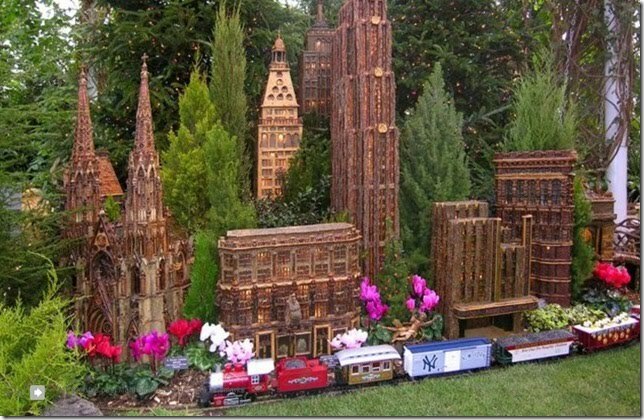 Then LOTR-Emily met me and we walked to the Botanical Gardens to see the Christmas Trains exhibit (amazing! ), and then we walked all the 4 miles back to Dupont. For dinner I dragged myself up to Colombia Heights because LOTR-Emily was hosting breakfast for dinner. 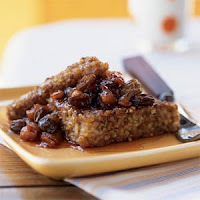 Pan-Seared Oatmeal – sounds weird but tastes AMAZING! You have got to try this, it will rock your world. And then we went out. Because why not chase a 40-mile ride with a long walk and a night of dancing? Anyway, hope you all had a happy Thanksgiving too! And more importantly, it’s now officially Christmastime. (I watched Love Actually and bought an advent calendar.) Get excited! Crust: Traditional or Graham Cracker? The pumpkin buttercream was good, but not as ground-breaking as I expected. I think I still prefer the peanut butter cream cheese frosting. 1. Combine the 1st 6 ingredients. Set aside. 2. Mix together eggs, pumpkin, sugar, and oil. Beat well. Add in the dry ingredients. 4. Spread in an ungreased 15 x 10 pan. Bake in a 350* oven for aobut 35-40 minutes. Cream butter, pumpkin and spices. Slowly add sugar until the buttercream is no longer seperated by the pumpkin. Use or keep chilled for up to 2 weeks. Hope you have a wonderful Thanksgiving! And don't forget to leave your crust comment below! As you know, on Sunday I celebrated Pre-Thanksgiving. And what’s Thanksgiving without desserts? I am all about Thanksgiving desserts (of course). At home, we usually take a break between dinner and dessert, maybe go for a walk to let the turkey and stuffing settle and make room for pies and fudge and cheesecake (oh my!). 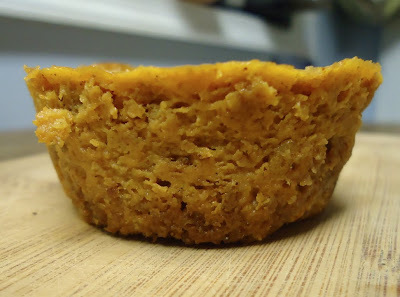 I wanted to make a play on pumpkin pie…something good for a buffet table…thus, Mini Pumpkin Pies! The problem with pie is the crust (dun dun dunnn) - it’s kind of a throwaway component. When we were little, my sisters and I always left the pie crust on our plates. But graham cracker crust is something else entirely. Is there a single person out there who doesn’t love graham cracker crust? No, no there is not. Because it is fantastic and easy to make! 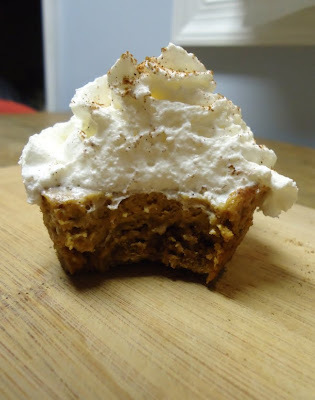 And this graham cracker crust takes its graham crackery-ness to a whole new level. That’s because Safeway, for once, had what I needed and more. 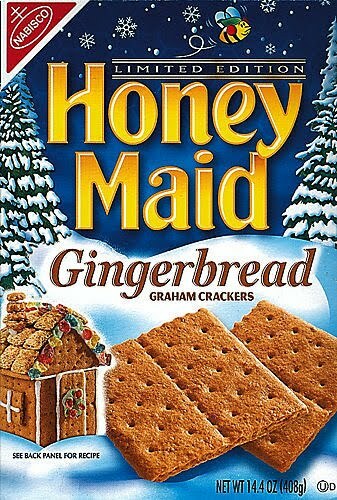 Next to the regular graham crackers there sat a box of Gingerbread Graham Crackers. Done and done. Best graham cracker crust ever. Mix all the ingredients together and press them into the bottoms of greased muffin tins (or you can do them in cupcake wrappers). I had enough for about 30 mini pies. Spoon filling into muffin tins. Bake at 425* for 10 minutes, then turn the heat down to 350* and cook for 20 minutes more. Remove from the oven. To test for done-ness, shake the pan a bit, pies should not be jiggly in the center. Cool completely, then run a knife around the edges and remove from the pan. Guess what? I made a turkey! But before we get to that, let's back-track to the start of my weekend. On Friday night, my co-volunteer and I took our refugees to a Washington Wizzard's game. The last basketball game I attended was in college. My track teammates and I had courtside seats and at one point my freshman friend, looking a bit confused, asked me, "I think I've seen high school kids play better than this?" Agreed. Back then BU wasn't that good. Professional basketball, on the other hand, is quite a bit different. And my Congolese family loved all of it - from the jumbo-tron, to the flying advertisement blimps, to the 3-pointers. Then early Saturday morning I did something a little bit crazy. Ran the Cranberry Crawl 5k! It was fun! 6x6 did not throw up and placed 11th, while I ran my way to 5th place (2nd in my age group), winning a loaf of cranberry bread. Woot! So here we go - let's talk turkey. I contemplated my options (extensively - I'm pretty sure I spent a solid 20 minutes at Harris Teeter wondering what exactly to buy). Frozen? Fresh? Breast? Whole bird? I weighed the choices in my mind, and in my hands, and in and out of my basket. Gah! I've never done this before! And of course my mama was incommunicado. There was nothing for it but to make this decision on my own. I opted for two turkey breasts. I reasoned that they'd be easier to cook and carve than a whole turkey, and two were necessary because I was expecting 20-ish people over on Sunday night. When I got home I started my brine. Here's my inexact recipe. Bring the mixture to a boil, then turn off and remove from heat. You just want to make sure all the salt and sugar is dissolved. 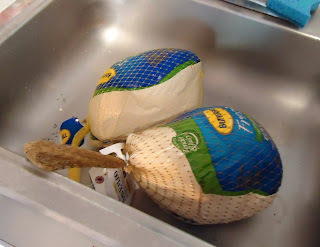 Let the brine cool completely, then pour it over your turkey until it's completely submerged. (Or you can do this in a bag.) Let it brine at least 24 hours, up to 3 days. Bring it all to a boil, then simmer for about 30 minutes until the sauce is thickened. And then I pulled the turkey breast out of the bag. WHAT!?!?! It wasn't a turkey breast at all. It had legs. And wings. It was a whole turkey. A. Whole. Turkey. Soooo, yeah. 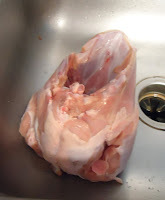 I bought one turkey breast (which apparently is just a turkey without the wings and legs!). And one whole turkey. Ridiculous. But there was really only one thing I could do - cook them. So I brined them both and hoped for the best. At 3 o’clock on Sunday it was go-time. Time for a turkeylicious face-down, just me and the bird. I inhaled slowly, focused, and got my poultry on. I poured out the brine, dried my turkeys, slathered them with olive oil, said a little prayer, did a little turkey dance, and popped them into the 325* oven. Welp - hope that works. 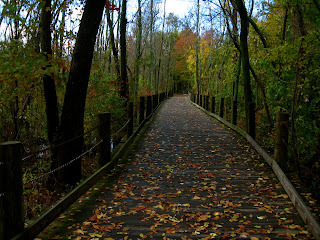 I went for a lovely Rock Creek Park 7-mile run. They sat while I stirred up some gravy (from a jar - I know, I cheated. But give me some credit - 2 turkeys! 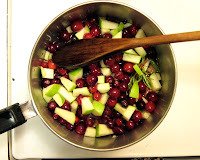 ), heated the apple cider, and chopped veggies for my salad. And then the guests started to arrive - bringing stuffing, sweet potatoes, squash feta muffins, croissants, salad, pumpkin pie, dips, appetizers, etc. etc. etc. (yup, there was a lot of food!). And then the moment of truth. I took a sharp knife and those prong-y things and cut into the turkey. I was afraid it would be dry. Or even worse, raw. But it wasn't at all. It was actually pretty darn fantastic. Maybe they were lying (if so bless their flattering hearts), but everyone said they loved it! The party went really well. (Woot! Hosting really stresses me out, so I was extremely happy it all worked.) I am so thankful that I have such a wonderful friends-family here in DC, and that my refugees could experience their first Thanksgiving with us! Phew! I went from slow-and-nothing-to-do to crazy-face-busy this week! So this will be short and sweet – here’s the second installment of Best of the Week! So let's start off our weekends right with the most adorable picture ever. This dog looks just like my dog Amy! 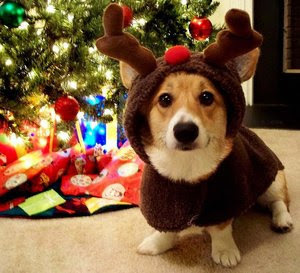 (But this corgi is probably more obedient.) You're welcome. I’ve been listening to Damien Rice. Have you heard Dogs? Or Volcano? I adore those songs! 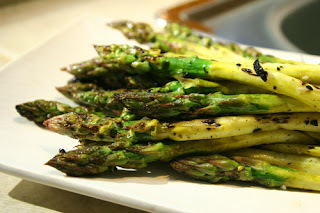 This week I ate out twice (visitors=yummm!). BGR never disappoints, their turkey burger with blue cheese was glorious, and their sweet potato fries and asparagus spears are always a win. 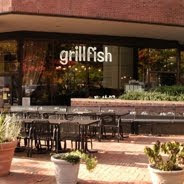 On the classier side, GrillFish was delicious. I got the special – a coconut crusted salmon with red curry sauce over bok choy. The sauce was pretty non-existent, but the salmon was delish! And desserts – oh man. Their mango key lime pie is pretty much to die for, as is the brulee’d cheesecake. Want to see a funny version of US history? It’s a rap. I also spent some time on Stuff White People Like. I am such a cliché white person – running, farmer’s markets, yoga, I employ unpaid interns...gah! 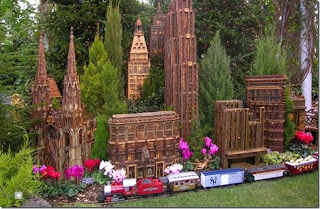 Sister1 sent me this link about wedding desserts - let's hope she pulls together a table this fantastic for her own event! On Tuesday night I got off work at 6 pm (free at last! ), walked home, changed into running clothes, and headed out for a much-needed run. I headed south through Dupont Circle, dodging cranky commuters and peeved pedestrians leaving work, to meet 6x6 under her awning in Foggy Bottom (exactly a mile from my house) where she was stretching awaiting my arrival. Me: Hey! Sorry I took so long – stupid stoplights! 6x6: S'ok, where do you want to go? 6x6: Ok, so the Mall. That decision made, we started running. Just a few strides in, 6x6 hit me with a challenge. Ok Mollie, give me ten reasons why I shouldn’t be at happy hour right now. I didn’t expect to have to talk her into running with me. Wait, what? Why? 6x6: Ten good reasons. Come on! And they can’t have anything to do with calories or exercise. Go. I need them. 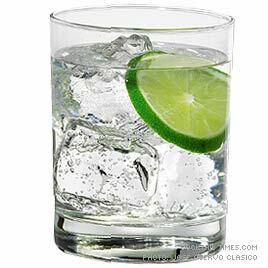 Convince me that I shouldn’t be drinking gin and tonics right now if you love running so much! I was a tiny bit taken aback by this sudden demand, but happy to oblige. Because I do love running, and I really believe it is way better than drinking. Ok, ummmm, ten? That’s kind of demanding, but can do it! 1. You always feel glad you ran and better after running, while drinking will just make you feel icky later tonight. It has a very short happy-time return. 2. Drinking will make you feel even ickier tomorrow morning. 3. It’s nice and warm out so we should take advantage of the ability to run outside in shorts while we can. 4. It’s been raining all day and we haven’t been outside at all – fresh air is nice. 5. You’ve been sitting at work all day – you need to move! 6. Exercise produces endorphins, which make you happy, while alcohol is a depressant, so it would make you sadder. 7. We’re racing on Saturday. 8. You raced on Sunday so you need this to shake out your legs. 9. If you go to happy hour you’ll end up eating chips and salsa for dinner, which is yummy but not satisfying or good. 10. 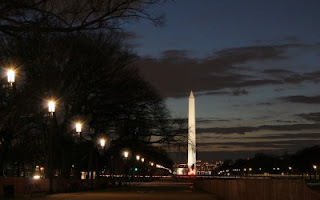 The Monuments at night are beautiful. Wha-BAM. Done. And then we went for a lovely 6-miler around the Lincoln and Washington Monuments and had deep and meaningful conversations about employee management and medical accountability and capitalism v. socialism and our weekend plans. Aka soooo much better than happy hour!